Justin M. Schiks is an award-winning criminal defense attorney with a proven track record of dismissals, acquittals and positive resolutions for his clients. Perhaps the greatest education I received came from my parents, who taught me about service, hope and respect. Inspired by their example, I use my skills to help people who are at low points in their lives — those who are accused of a crime or injured through the negligence of another. Justin M. Schiks is an award-winning criminal defense attorney with a proven track record of dismissals, acquittals and positive resolutions for his clients. Justin is a native Minnesotan from the Twin Cities area. As a graduate from Forest Lake High School, he went on to complete his undergraduate work at University of Minnesota-Morris. During his college years, Justin began learning about the law as an intern for the Stevens County Attorney’s office. Following graduation from the University of Minnesota, Justin attended William Mitchell College of Law in Saint Paul, Minnesota. While in law school, he spent several years with the Washington County Public Defender’s office, where he appeared with clients on thousands of bail hearings and First Appearances. 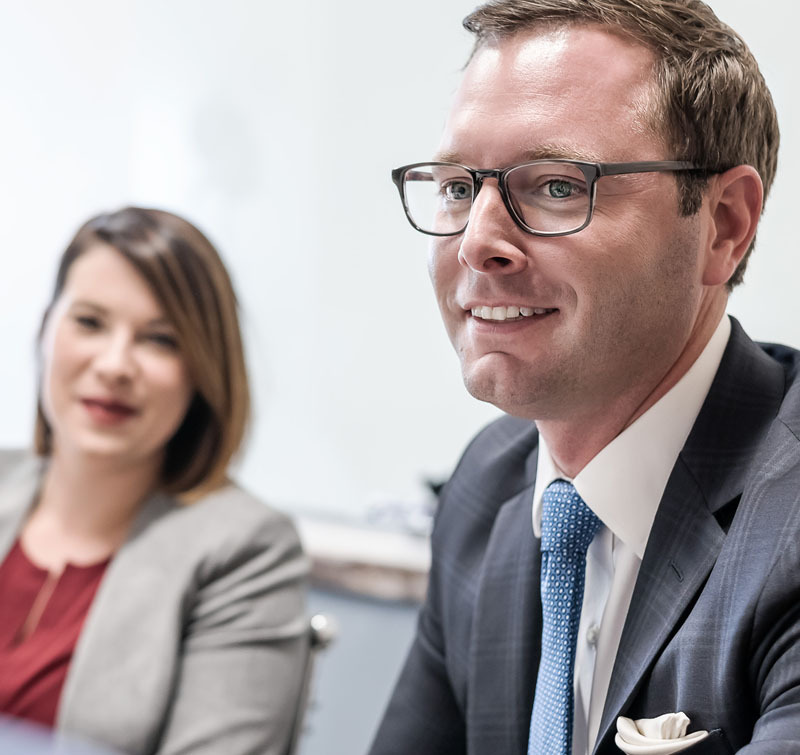 While earning his law degree Justin developed a strong grasp of the law, conducted extensive legal research, presented arguments to mediators, arbitrators, trial and appellate court judges. In addition, Justin worked with the Edina city attorney, prosecuting misdemeanors and gross misdemeanors. His experience prosecuting has been invaluable to him as a criminal defense lawyer in anticipating arguments and strategies used by the State. For more than a decade, Justin’s focus and passion has been on DWI defense and criminal defense, helping good people through what often times is one of their most difficult times in life. For many years, Justin has also volunteered his time assisting those unfamiliar with the legal process, as an attorney on the Washington County Criminal Defense Panel and the Washington County Criminal Defense Clinic. Justin has had the honor of being selected for The National Trial Lawyers: Top 100 Trial Lawyers. The members of this prestigious invitation-only organization are selected as the top trial lawyers in their states who exemplify superior qualities of leadership, influence, public profile, reputation and stature. Justin holds a 10 out of 10 rating on AVVO.com, an attorney rating website, and has been a recipient of “Clients’ Choice Award,” for 2014, 2015 and 2016, which is given to attorneys who achieve superb client ratings and reviews. Justin continues to be held in high regard by fellow defense attorneys, prosecutors, and judges. He has successfully represented thousands of clients in felony, gross misdemeanor and misdemeanor cases, achieving dismissals, acquittals and resolutions resulting in no conviction. Justin Schiks offers consultations and legal counsel to discuss strategy and outcomes. The consequences of a charge can be life altering. You need an attorney you can trust will advocate for you every step of the way. Contact Justin Schiks today to protect your freedom and rights. For over a decade, Justin has dedicated himself to criminal and DWI defense. He has advocated for individuals through every step of a case, from pre-charge representation through pretrial hearings and trial. Justin has also accomplished countless successful sentencing departures, arguing and gaining immense leniency for his clients. His passion for helping good people in difficult situations has given him success and ability to continue to grow his private practice. Justin has also been given the opportunity to educate other attorneys on the criminal defense process and the ethics involved in criminal defense representation through continuing education and speaking engagements. Justin founded JS Defense, P.A. to provide a zealous defense to individuals of all ages and backgrounds. Justin provides unique representation tailored to an individual’s case with the latest technology and resources. Justin is a member of the National College for DUI Defense and continues to stay educated on the latest defenses and case law to provide the most knowledgeable representation possible to his clients.